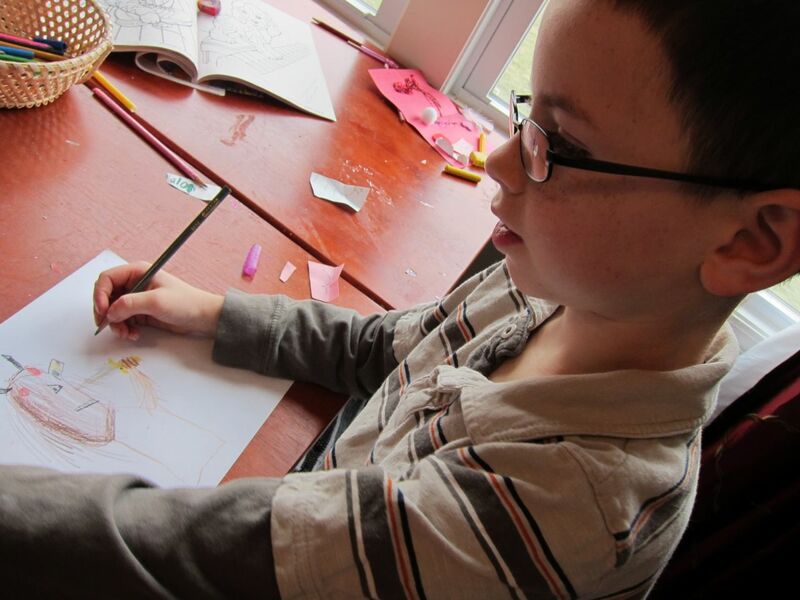 As of yesterday evening, Jedi’s completed 744 of the required 900 educational hours Ohio requires for homeschoolers (not counting his therapy hours each week, which the school district would allow us to count because it would count if he were in school. But we don’t count it as part of our required hours.). It’s amazing to think that “technically”, he is already almost done with 2nd grade. Now, we still have so much we want to do this year, so we’ll ultimately end up a couple hundred over the requirement, in large part because we do full-year school. I like that we still have a lot of wiggle room for taking breaks and time off. Jedi’s worked really hard this year! I’m proud of the transition he’s made, and the fact that he’s learned so much since June! Here are some pictures of last week…. Last week, he wrote a fairly lengthy creative writing story. This week, he typed it and illustrated it! Most kids have done M&M math--our kids are dairy allergic, so Valentine's day brings a good opportunity for Conversation Heart Math! I made up a 4 page packet that he worked on that involved counting, addition, subtraction, multiplication, estimating, greater than/less than, and graphing. We also finished our unit on birds this week. We talked about the waterproofing on a bird's feathers, and what happens when oil spills happen. Jedi took some craft feathers. 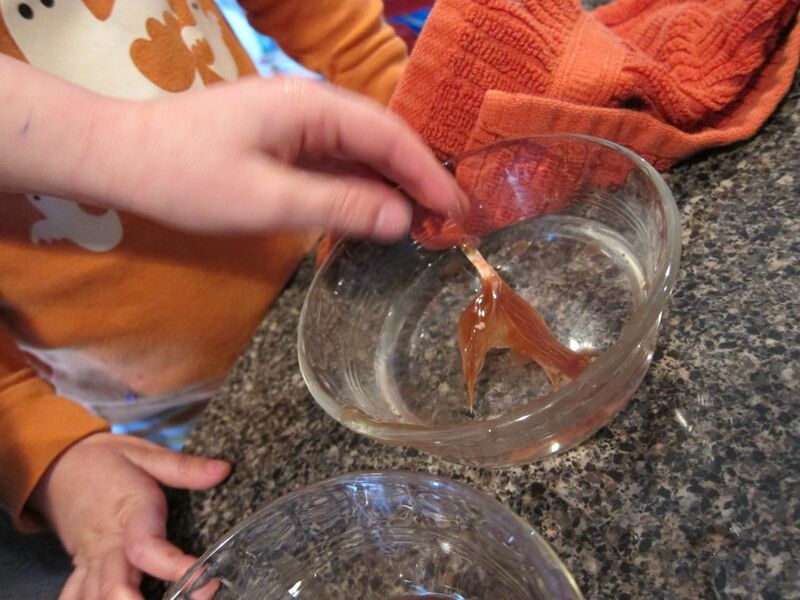 The first feather, we dipped it into water and then dried it off. The feather was nice and fluffy again. 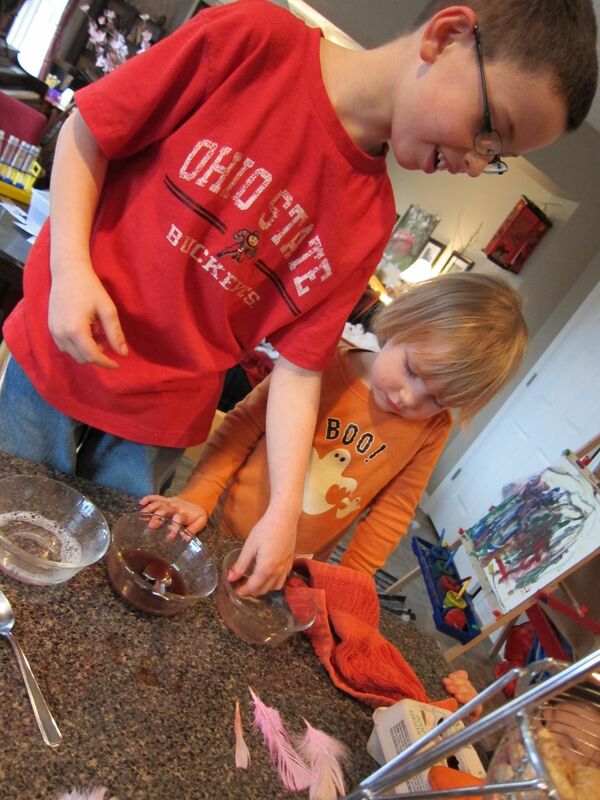 The second feather was dipped into a mixture of canola oil and cocoa powder (the CP was to turn it brown). This was to simulate an oil spill. Jedi tried wiping off the oil, but the bird's feather never became clean. Then he tried washing the oil covered feather in plain water to symbolize the bird trying to swim into clean water. The feather became completely mangled, which would provide little to no protection for the bird (ultimately causing it to freeze). 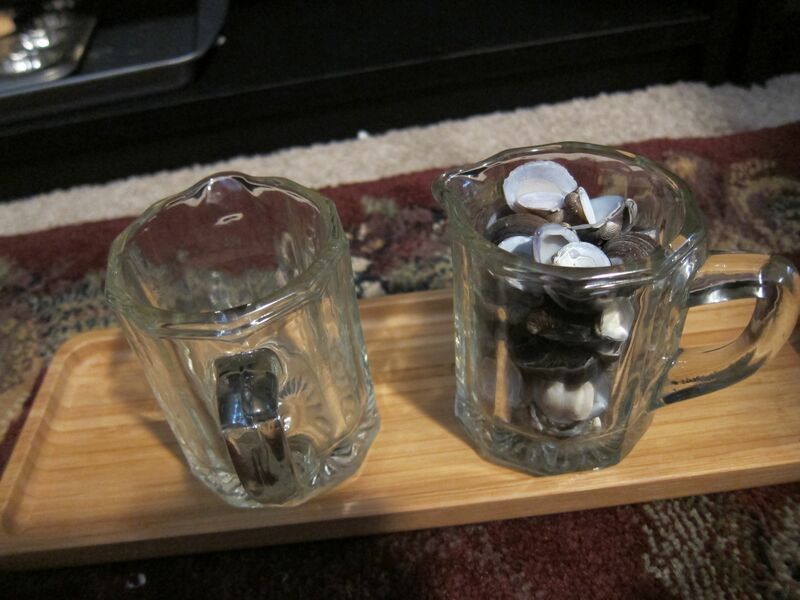 He dipped another feather into the oil, and then washed it off in a mixture of dish detergent and water. The feather didn't go back to it's initial fluffiness, but was clean enough that the bird would probably have enough protection from heat and cold. All of the feathers. From left to right: Original feather, feather dipped in water, feather dipped in oil and wiped, oiled feather washed in water, and oiled feather washed in soapy water. Then we watched some youtube videos on how birds are washed after oil spills. 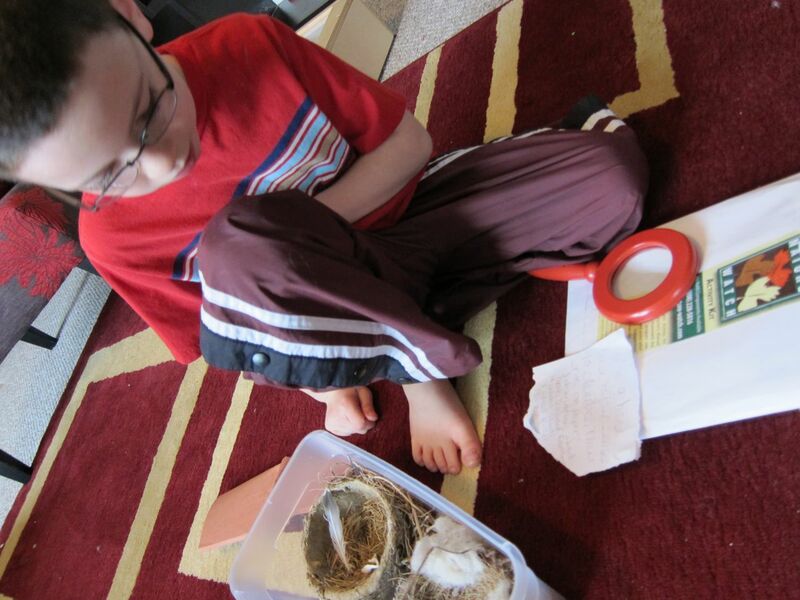 Jedi also had a box of bird-related items to observe...feathers, real nests, owl pellets, and a replica of a barn owl skull. 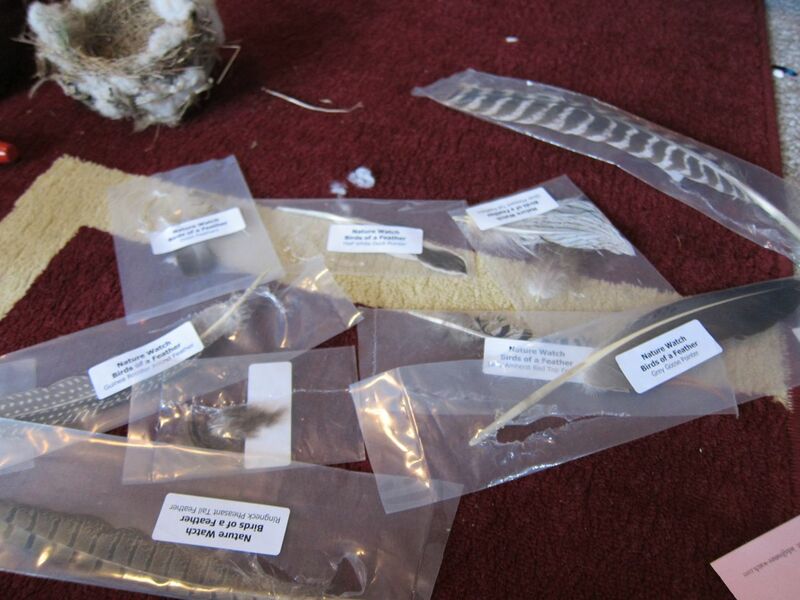 A bunch of different samples of feathers. 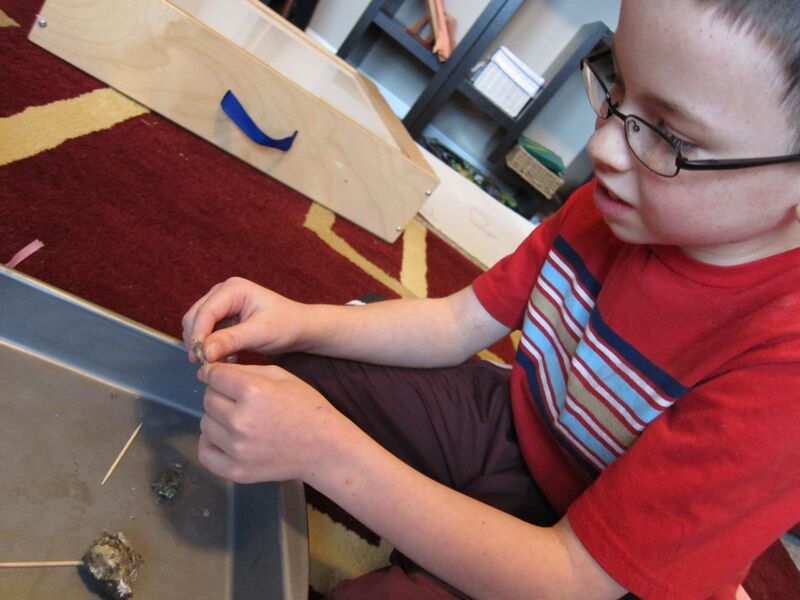 Dissecting an owl pellet. Jedi LOVED finding the bones! 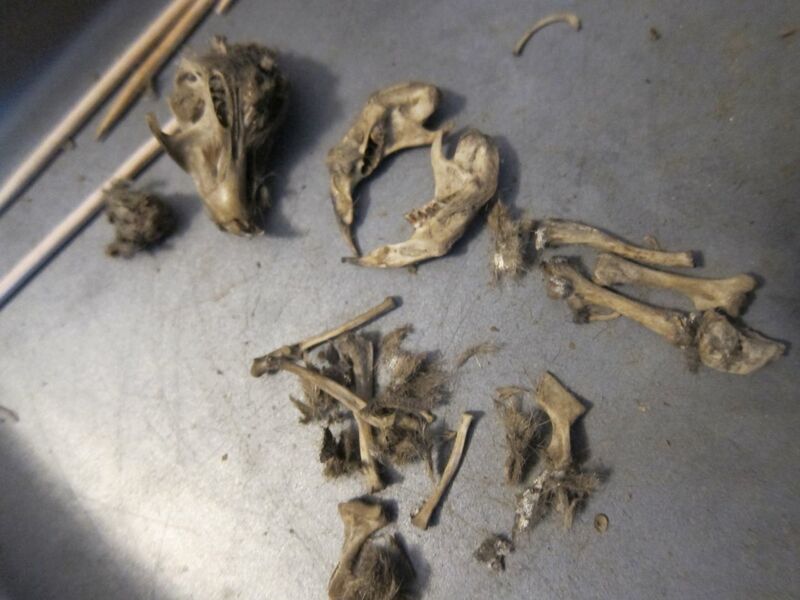 All of the bones from the owl pellet. Jedi also learned about Gilgamesh and Enkidu. After learning about the story, he then created a story about an adventure they might have had. Finally, he drew a picture of what Enkidu might have looked like. 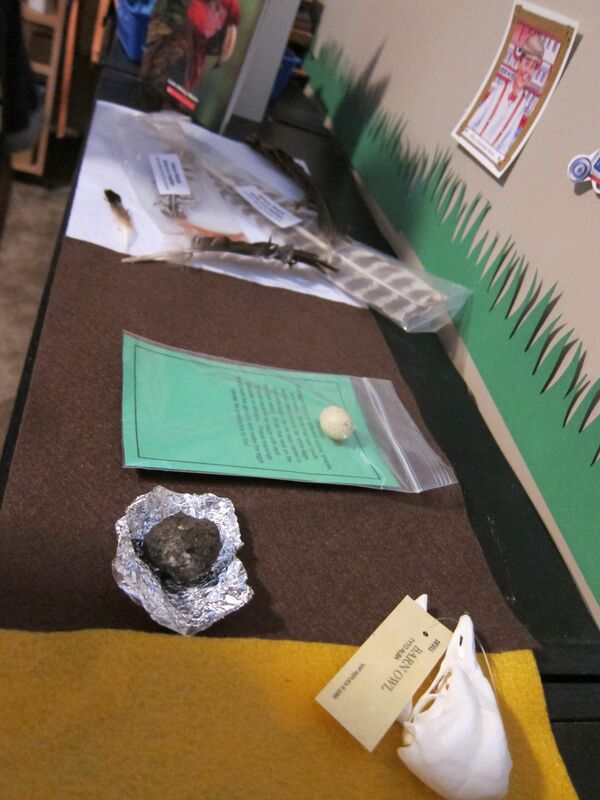 One of the new things we had in the schoolroom this week, was a "please touch" table for objects found in nature. 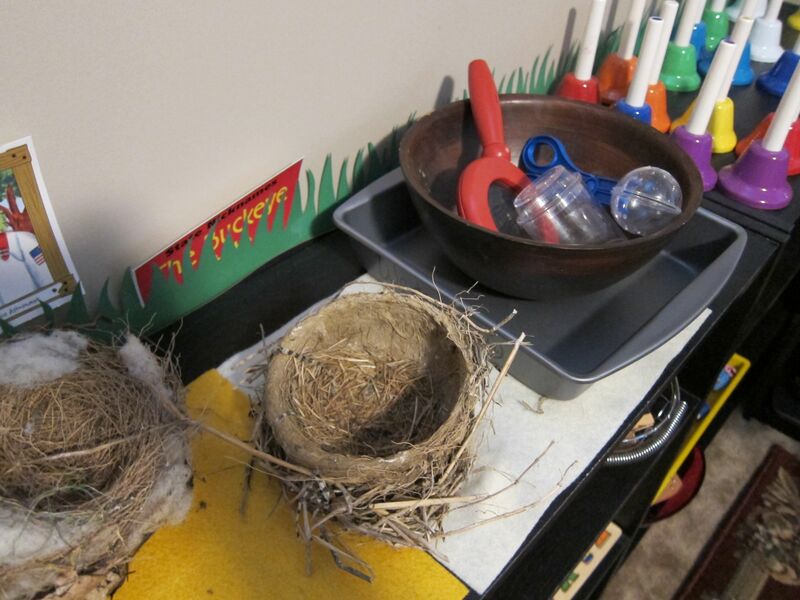 This week, I put out a bird theme--an owl pellet, some feathers, a replica of a barn owl skull, and some nests (one random one we found in a tree that had been abandoned, and the robin's nest that was featured a couple months back. We had to have the fence painted, so once the hatchlings left the nest, we had to remove it from the fenceline). 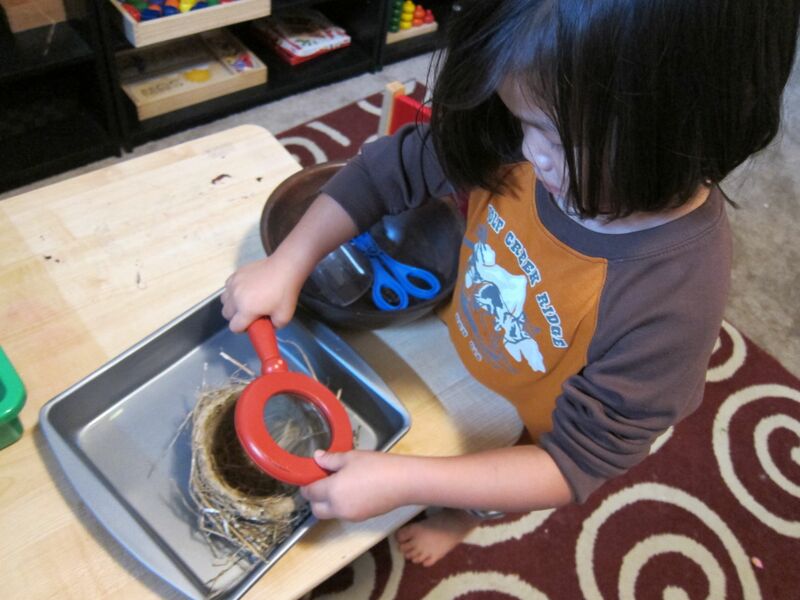 I put some tweezers, a hand lens, and some other magnifiers in a bowl for the girls to use. The craft project this week was using tempura paint thickened with cornstarch. The kids then used popsicle sticks to swirl the paint. The paint is thick and doesn't dry flat to the paper, so it was nice and textured. The paint colors also didn't blend very easily, so there was a nice marbling effect. We learned about the difference between living & nonliving, as well as the characteristics all living things share. Jedi also did a plot study, where he went out to study a 4’x4′ square of land. Jedi decided to study an area of land with a recently planted evergreen tree in it, just thinking it was a tree and a small bit of grass. However, following a little trail of fluff in the tree, he discovered a hidden empty bird’s nest! The coolest part about the bird’s nest? The bird who made it recycled some bubble wrap, string, landscaping fabric, and other odd pieces of trash it somehow got ahold of. Very very creative! The nest he found hidden in the tree. The odd materials on the underside of the nest. In Chemistry, Jedi learned that everything is made of chemicals. He then looked at the ingredient list on a bag of marshmellows and a bottle of dish detergent and listed the chemicals in each that he had heard of before, and those he had not. Finally, he named chemicals that were usually safe, some that are dangerous, and some that we use on a daily basis. Math was one of the two subjects Jedi really seemed to struggle with after leaving his Montessori school. At the end of kindergarten, he was one of the top of his class in math. 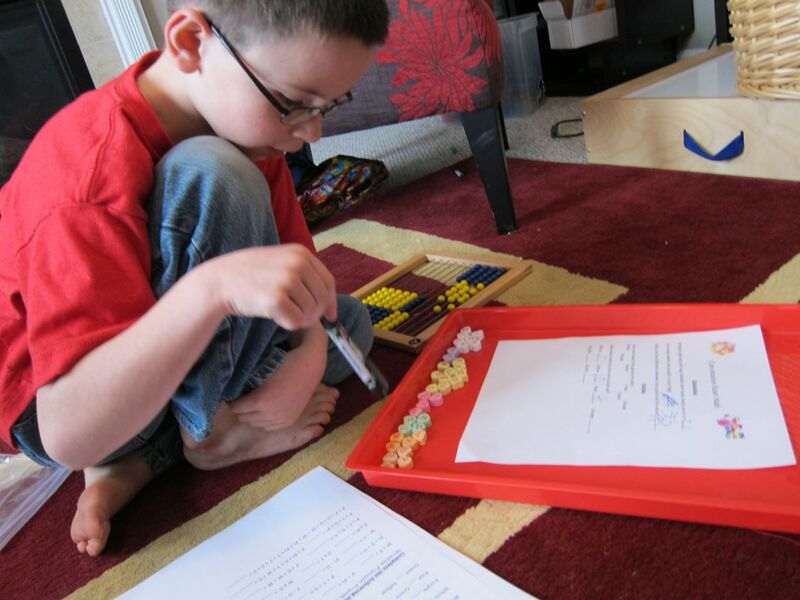 However, at the end of 1st grade, his standardized testing done as part of his autism treatments showed that he never progressed at all in math, nor spelling…he was testing at almost the same level a year later. So, we are really trying to figure out what might help him here. 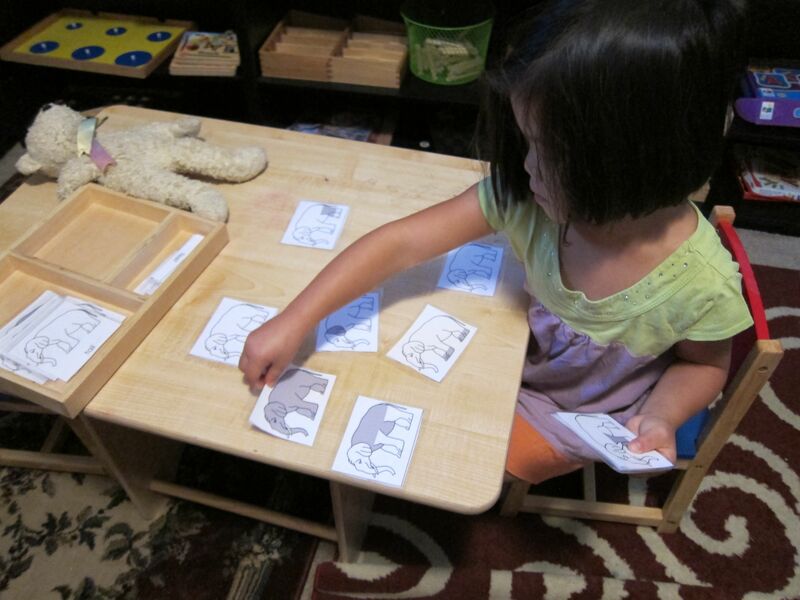 We started Rightstart Math, which uses the Asian way of counting (10, 10-1, 10-2, etc. (10, 11, 12), 2-10, 2-10-1, 2-10-2 (20, 21, 22). He seemed to catch on to that way of counting. We also discussed parallel lines, recognizing how many are in small groups of objects (1-10) without having to count, and using an abacus. In Geography, we started a 2 week study of China. Jedi, along with the girls, learned how to say hello & goodbye in Chinese, listened to children’s music in Mandarin, and colored the Chinese flag. Jedi created math problems using Chinese symbols. Finally, he created a replica of the Great Wall using mini foam building blocks. Studying what life in China is like for children. This week was just an intro week, where Jedi learned about the study of ancient history, and in particular the study of archaeology. He learned how historians can figure out about ancient civilizations even though ways of recording history were not readily available. This week, he learned about the Ohio flag, and how it is differs from other state flags in the fact that it’s not a rectangle or square! This week, Jedi journaled about what he’d do if he woke up and found out that he was president of the United States. Because spelling is very difficult, we also worked a bit on editing his work. Working hard on his journaling. 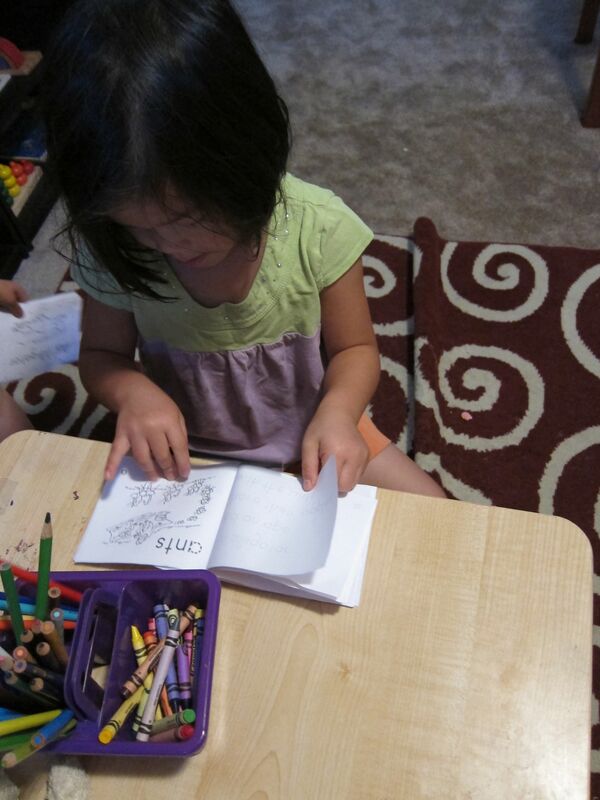 We decided to use McRuffy Press for Phonics, Reading, Language, and Spelling. Jedi learned about prefixes, suffixes, and contractions. 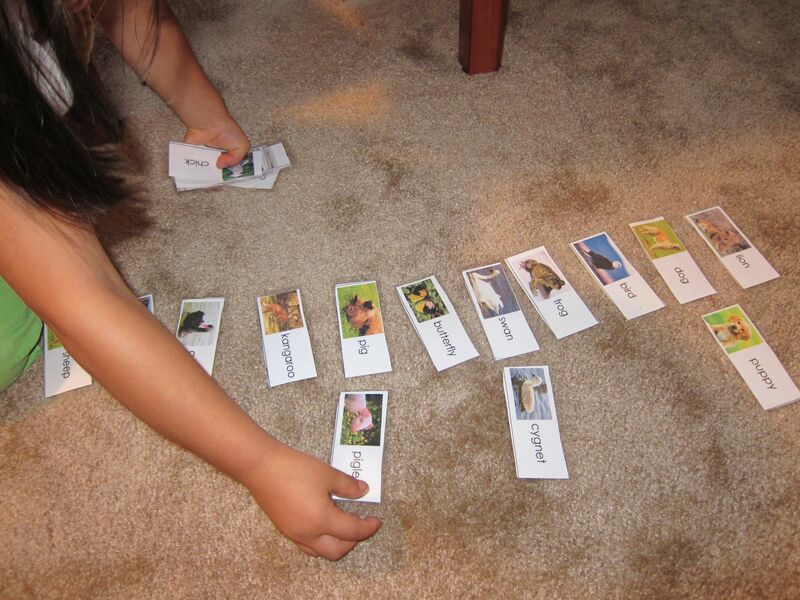 He really seemed to like contractions, as well as finding the root word of words that had prefixes & suffixes. He did seem to have a very hard time with the spelling aspect though, and we’re currently trying to do a bit more research into the most appropriate way to help him with spelling. 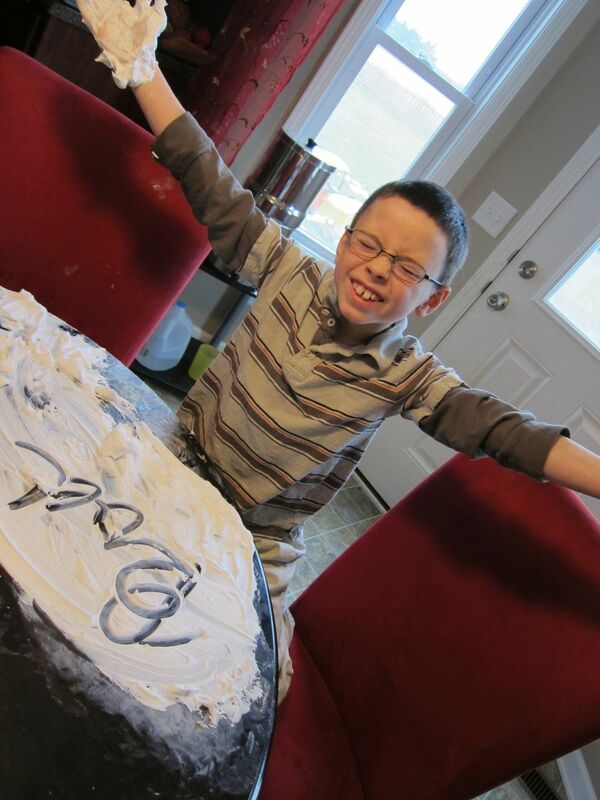 He was taught to spell phonetically, which would be great, except he had auditory processing & speech issues. So, his spelling is exactly how he hears it, which sometimes is quite a ways away from the actual spelling. While Jedi’s reading level is over the 3rd grade level, his spelling is at the early 1st grade level, which is quite frustrating for him. Hopefully we figure something out in the next couple weeks that can help him. This, by far, was one of Jedi’s favorite subjects. The first day, he had to sketch something that happened the day before using a graphite pencil & sketch pad. The second art day, he created a work using watercolor crayons. He was supposed to remember an event that he felt joyful at, and then use his imagination to find a way to color that scene so that it portrayed his excitement without words. Day 1 of music each week involves listening to and learning about a famous composer. This week, it was Bach. Jedi learned about Bach’s life, and listened to Jesu, Joy of Man’s Desiring. Day 2 of music each week involves learning some beginner piano. This week, he learned the proper hand positioning, where middle C was on the piano, and learned a simple exercise using all of the black keys of the piano. Working on his playing exercise. Jedi’s health curriculum is twofold. 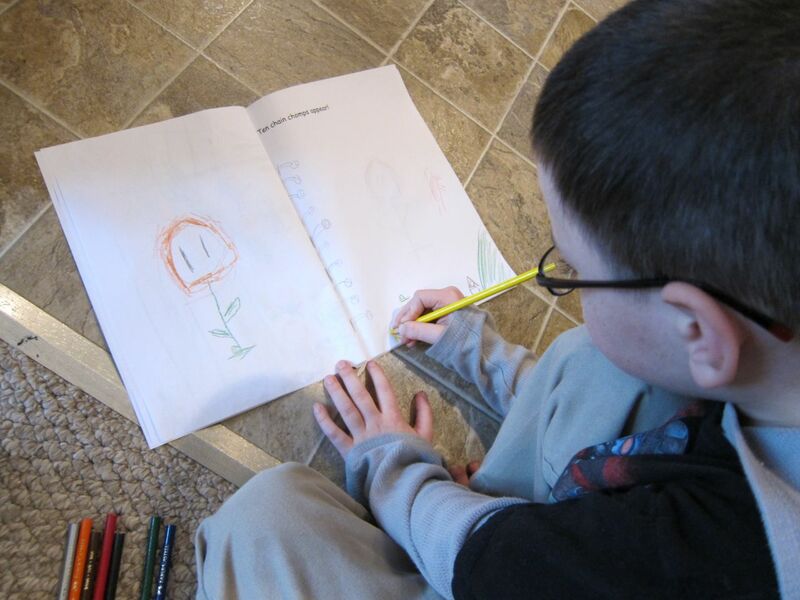 First, we use a social stories book for children with autism on personal hygiene. Second, we use Horizon’s health curriculum. This week, we learned about how each person is unique, and begun work on feelings. Because feelings, and especially recognizing the feelings of oneself and others, can be difficult for a child with autism, we are taking an extra lesson to work on this.